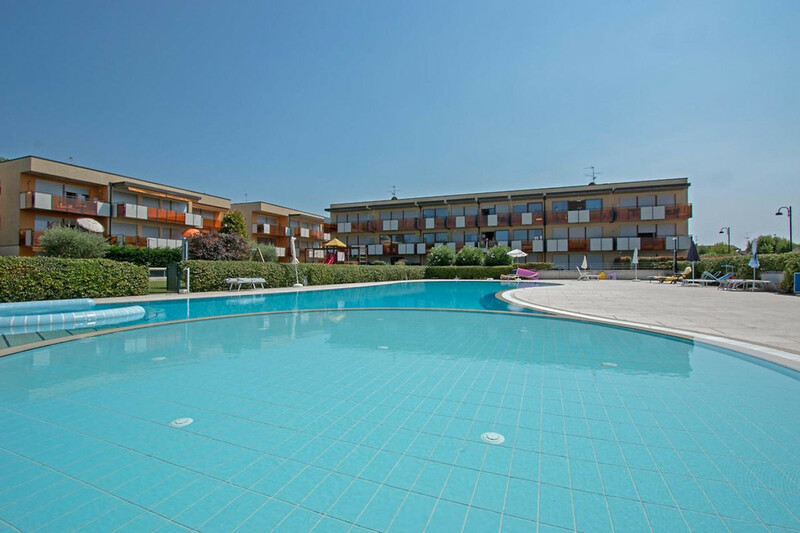 The perfect holiday apartment for families! 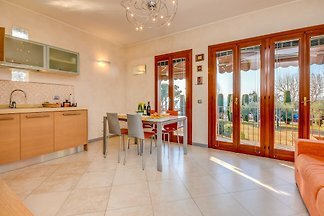 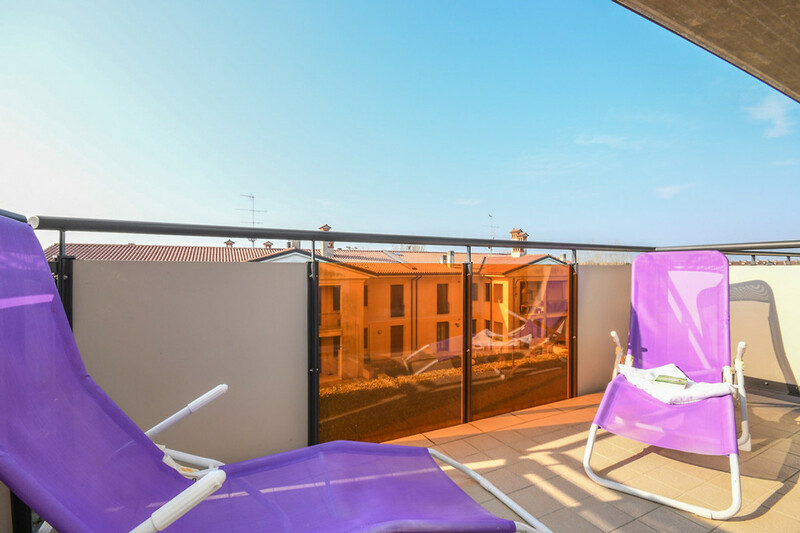 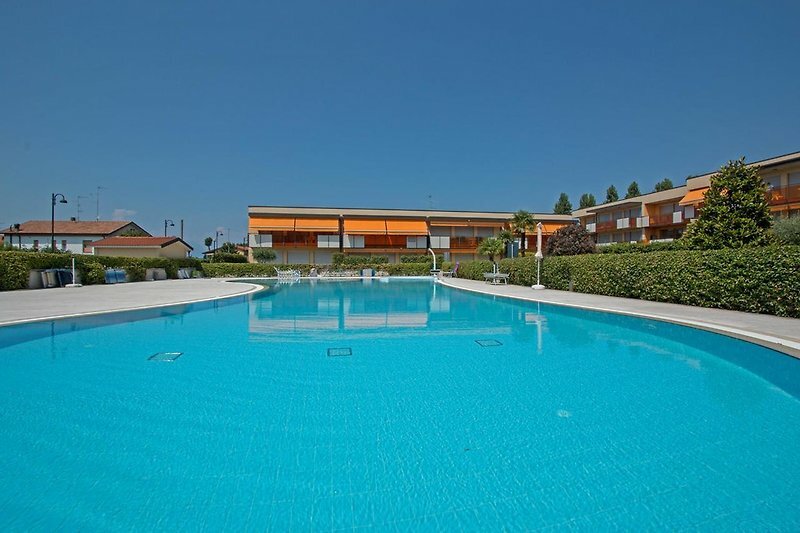 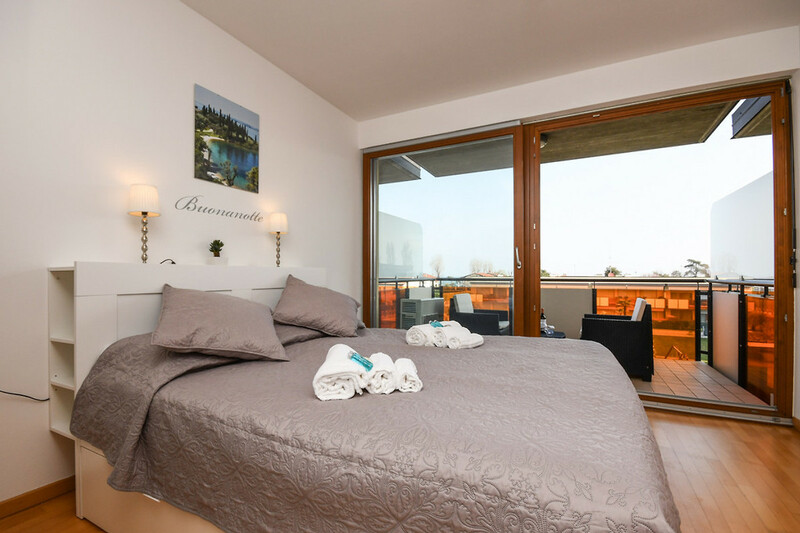 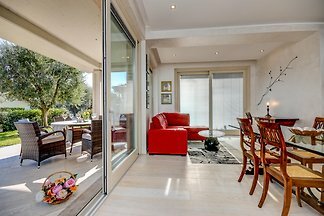 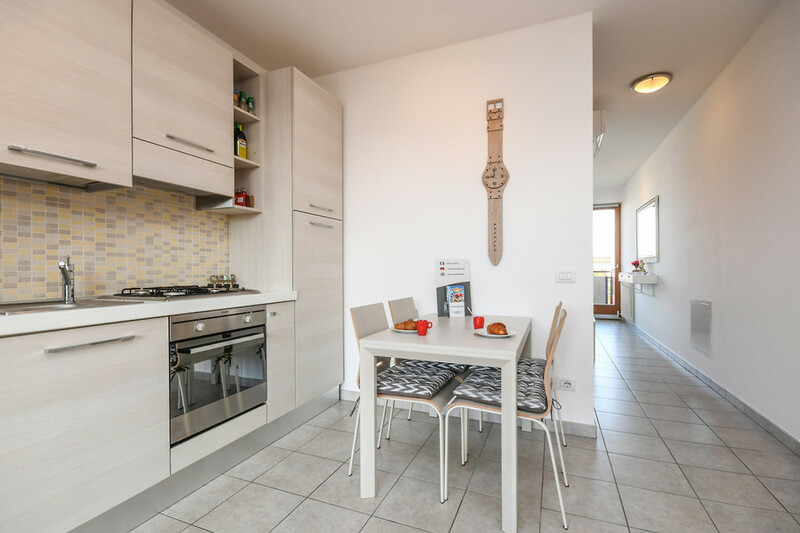 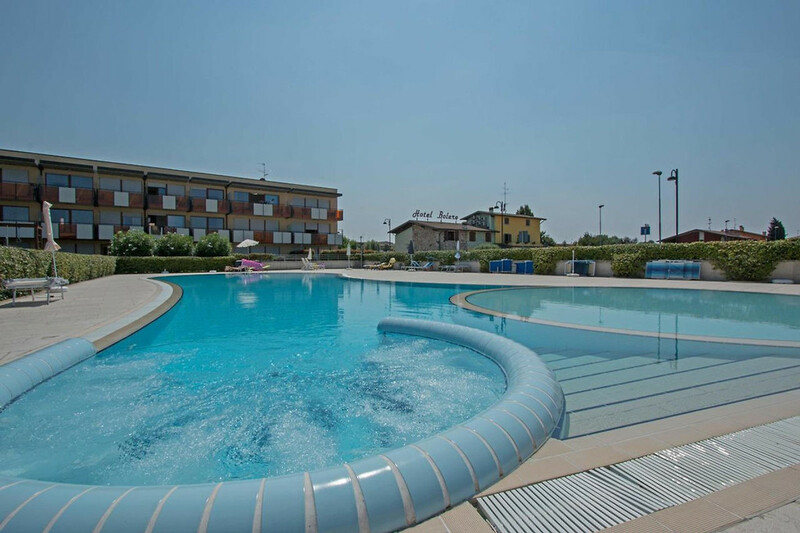 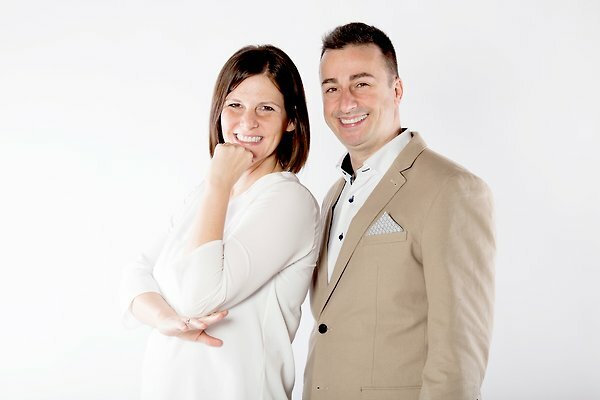 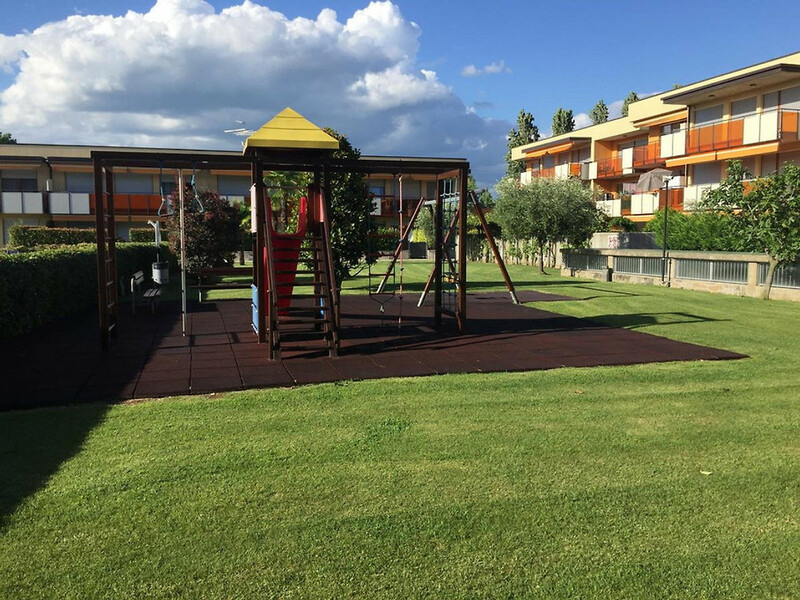 Residence Benacus 2 offers a large pool, baby pool, playground and green areas in the heart of Lugana di Sirmione and only 150 meters from the most beautiful beaches of Lake Garda: Punta Gro and Lugana Marina. 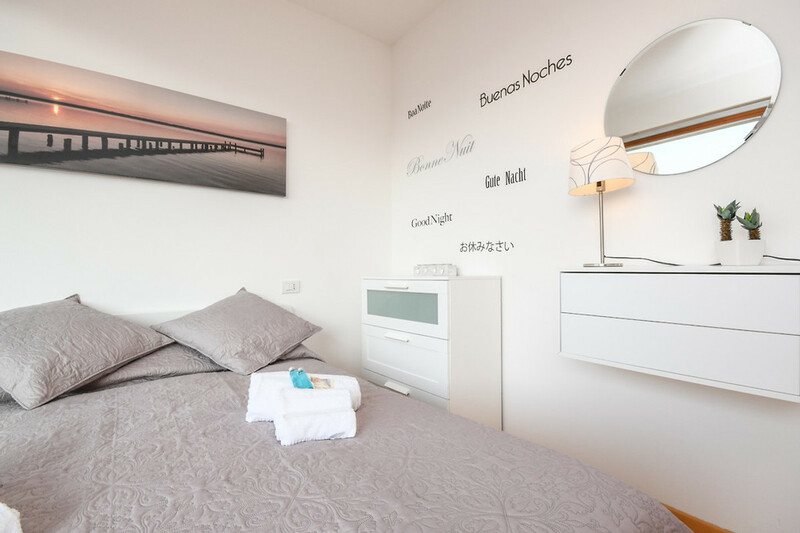 Here you will find pedal boat rentals, restaurants and bars as well as great walking opportunities. 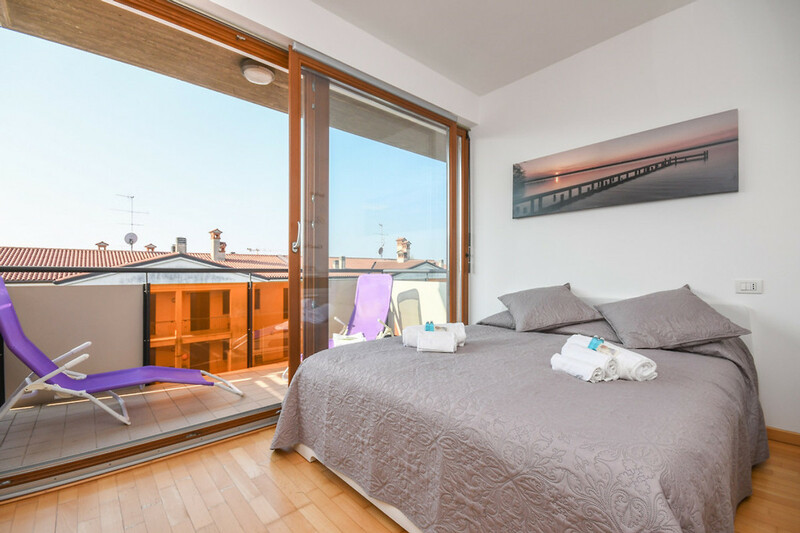 The apartment is spread over 2 floors and offers from the bedroom and the living room a beautiful panorama of the lake, the mountains and the pool. 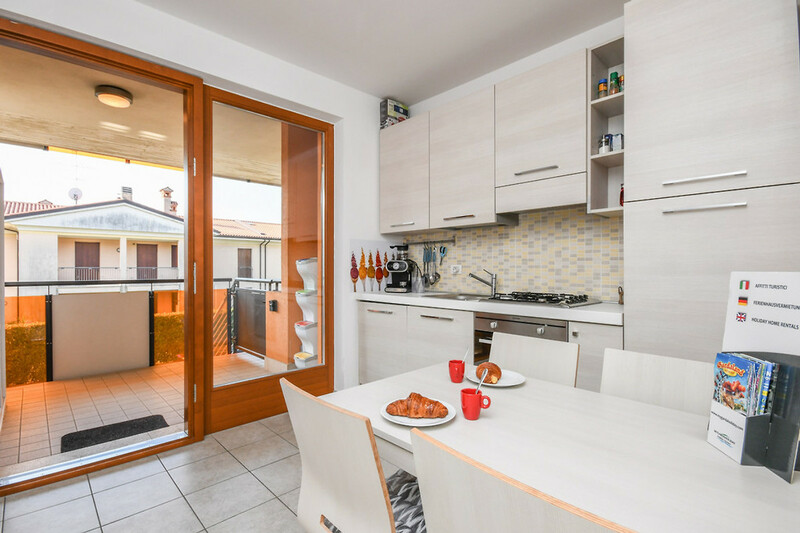 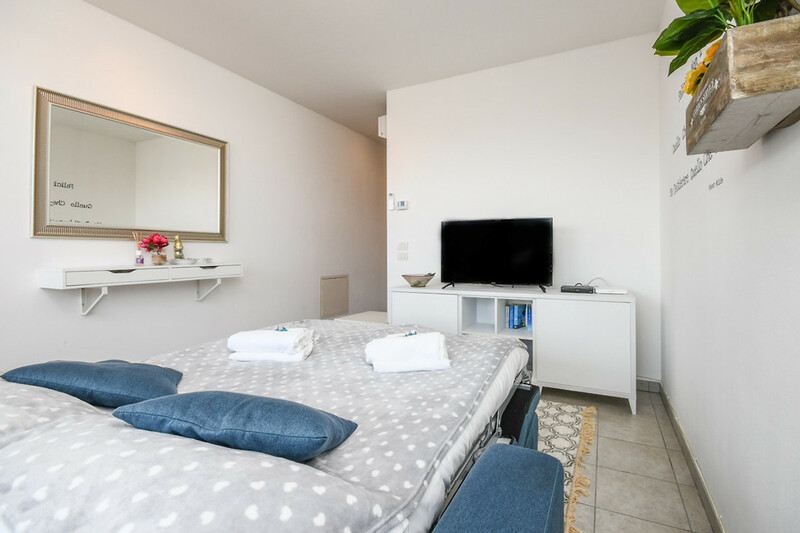 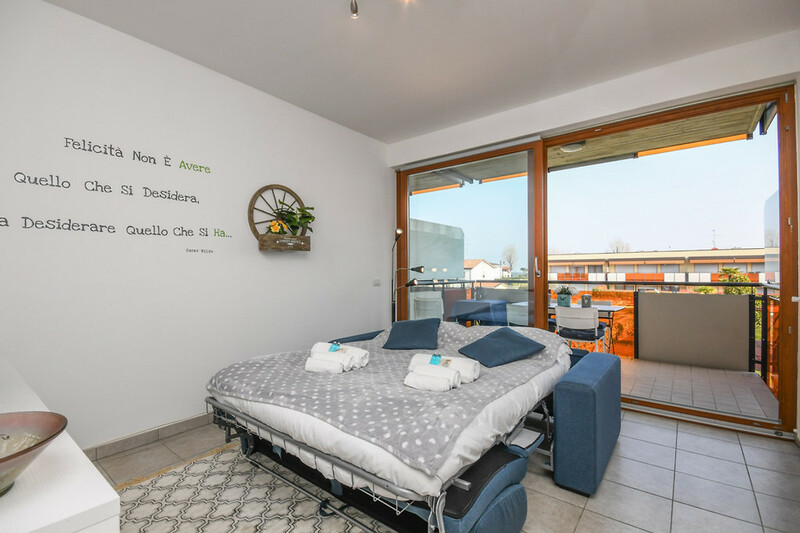 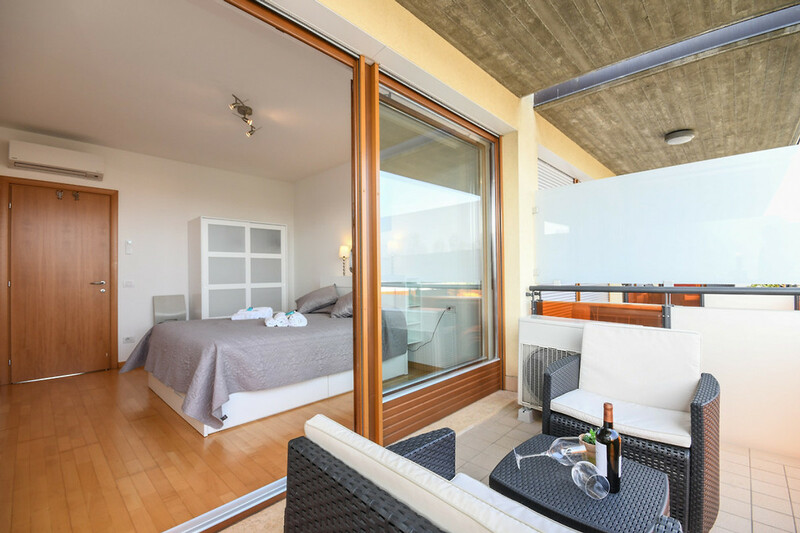 On the first floor there is a fully equipped kitchen with a dining area for 4-6 persons, a guest toilet and the light-flooded living room with access to one of the 4 large terraces of the apartment. 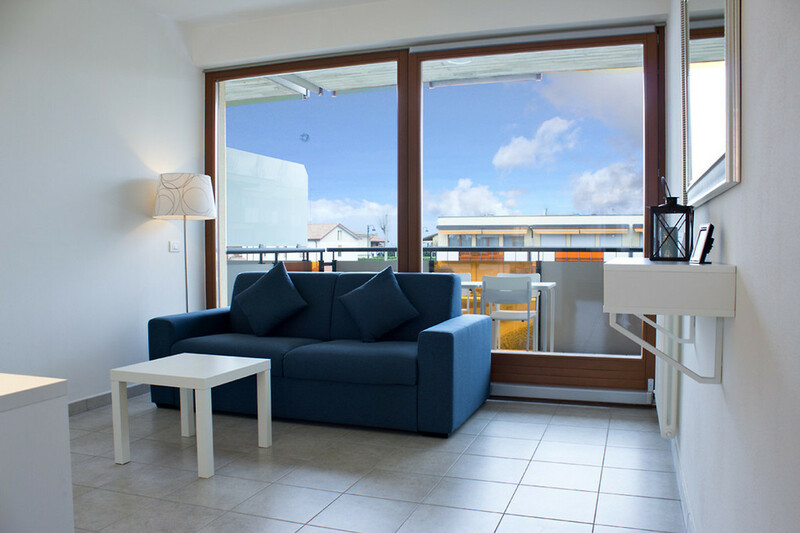 In the living room you find a comfortable sofabed and a flatscreen TV with international programms. 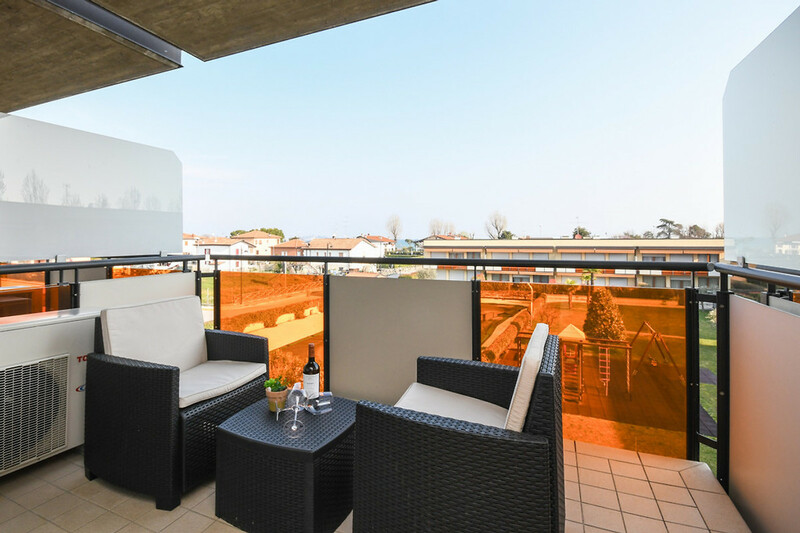 Here you can comfortably eat outside and enjoy the warm summer evenings. 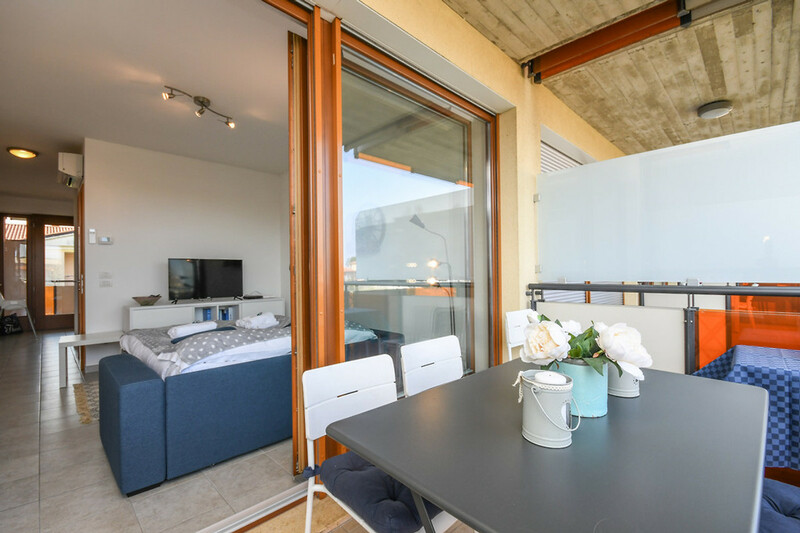 On the second floor you find 2 double-bedrooms with private balcony and the major bathroom with shower, wc, bidet and washing machine. 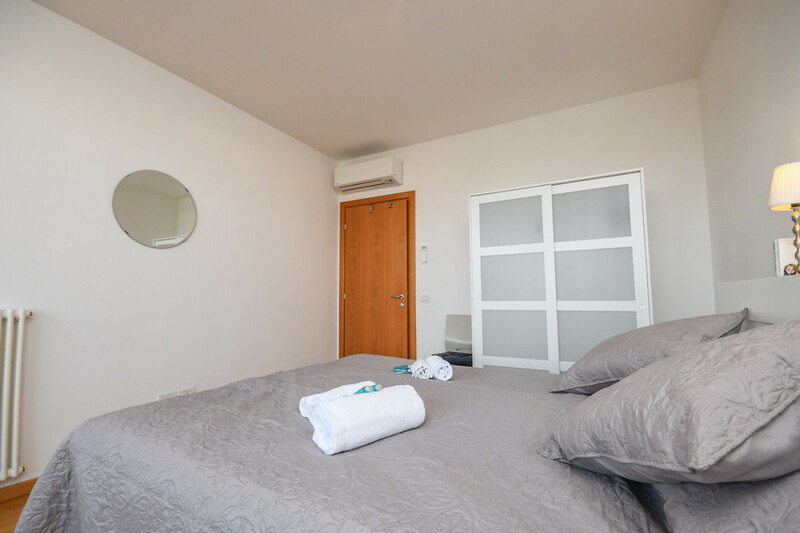 The whole apartment is served with air conditioning and Wifi. 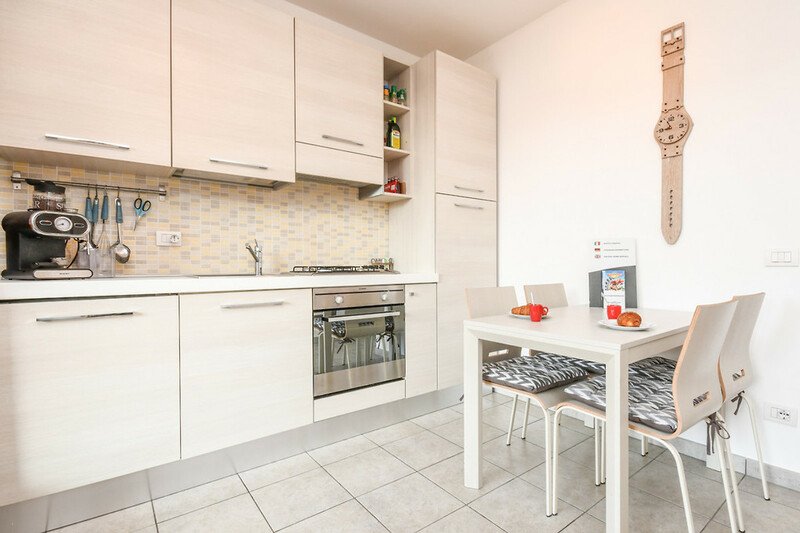 Parking is possible in front of the apartment and 2 bicycles with baby-seat are at disposal of the clients.